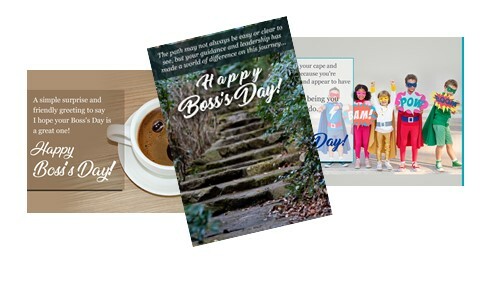 Celebrate Boss's Day by sending them a Boss's Day card from our collection. 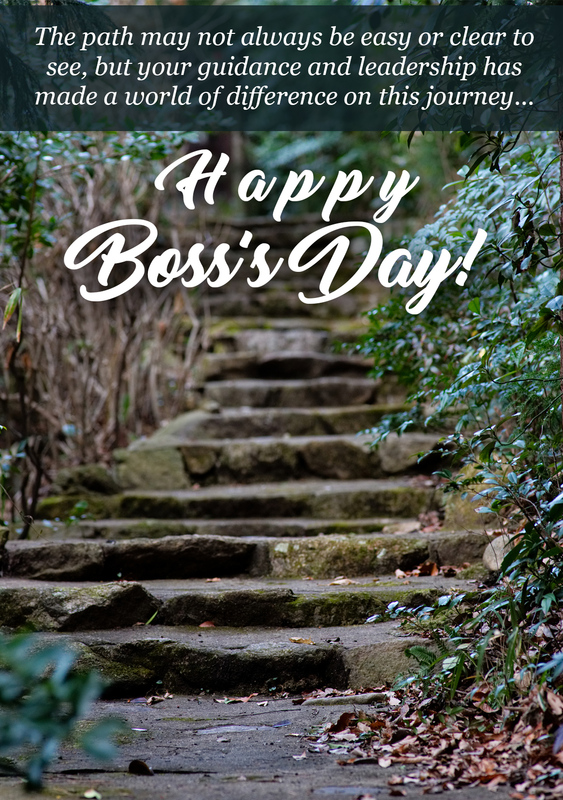 In celebration of Boss's Day, we honor bosses, leaders, managers, supervisors, and even those "volun-drafted" to hold a role that in some way shows leadership. Show how thoughtful you are today. Show appreciation and take that first step to possibly build a better relationship. Everyone likes to be appreciated, no matter their personality, and your boss is no different. Cards chosen and sent will be scheduled to arrive electronically on October 16th. Want to simply send a note that says hi and Happy Boss's Day? Are you and your boss not into fluff? There's work to be done and you may not have time for that stuff. 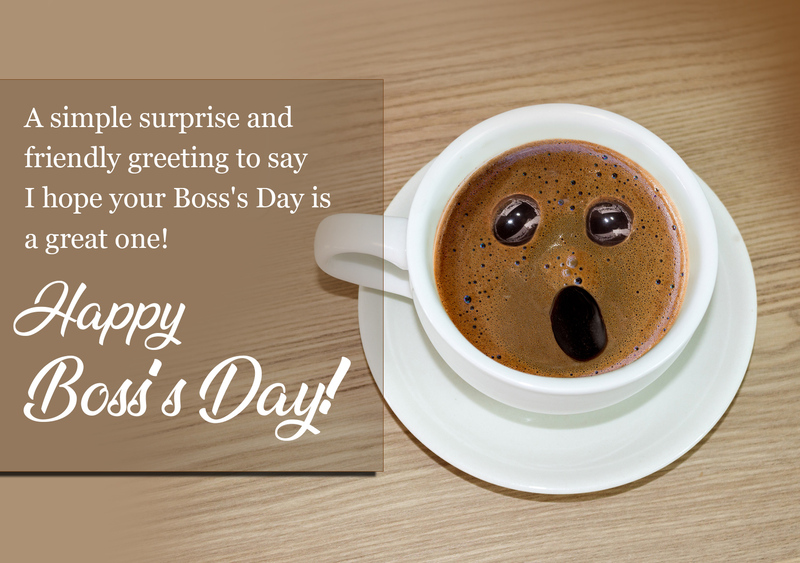 Send a quick simple note that says "Hey, Happy Boss's Day"
Has your boss made a difference? Then send this heartfelt note of kindness and point out the ways in which you appreciate his or her efforts and leadership. Is your Boss part Super Hero? Then send this fun depiction of how leadership from your boss is a fun, uplifting, learning, growing, or engaging experience that you enjoy and for which you are grateful! 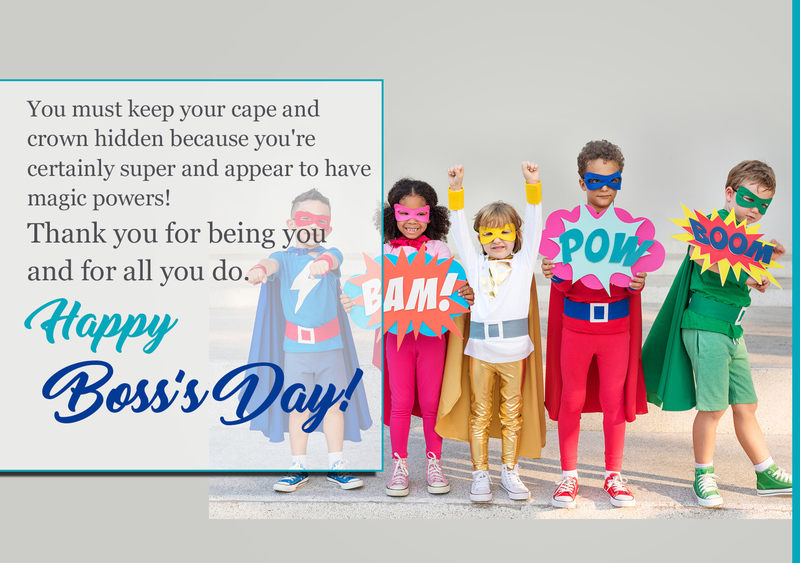 ﻿We've made it easy to say Happy Boss's Day! So, let's get your greeting (and maybe gratitude) on the way with your choice of card, your message, your boss's name, and his or her email.